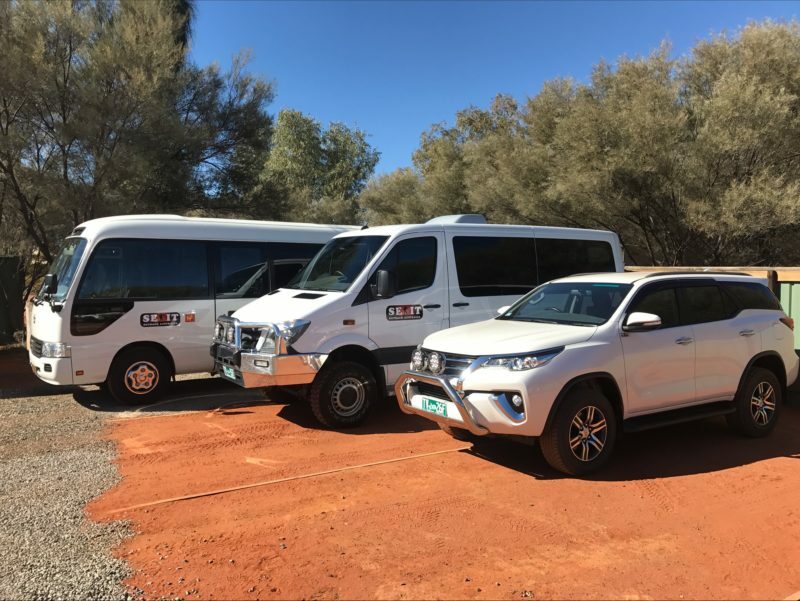 SEIT Outback Australia is a small group touring specialist offering exciting, adventurous, exclusive and specialised iconic, pioneering and cultural touring in the Red Centre of Australia. 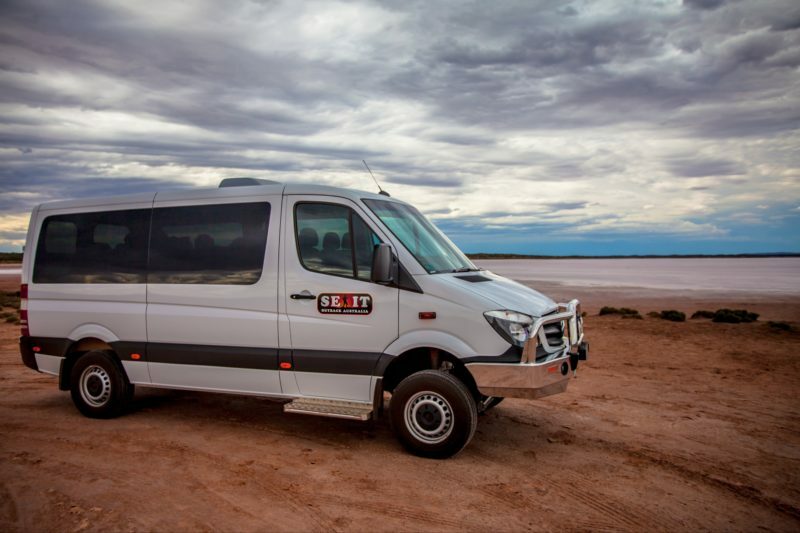 This innovative tour company focuses on providing clients with the ultimate interpretive touring experiences from Alice Springs to Uluru / Ayers Rock, with a range of products and customised touring itineraries for small groups (maximum 11 people) and bespoke private charters. Our fleet of current model 11-seat Mercedes Benz Sprinter buses and luxury Toyota Fortuner 4WD vehicles ensures our guests travel in the utmost comfort. Travel deep into the remote and rarely visited Pitjantjatjara Aboriginal Lands of Central Australia for an unparalleled cultural experience. Anangu hosts will guide you to the magnificent cave paintings of the Seven Sisters creation story, graphically illustrated on the rock walls of the most significant art site in the centre. Learn about Tjukurpa (dreaming) and the Songlines relevant to Anangu life in the desert. 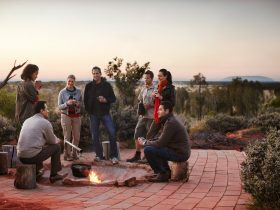 Indicative rate includes – entry into Aboriginal lands, a professional guide, an Anangu guide, bottled water, morning tea and a barbecue lunch. You will travel to Uluru-Kata Tjuta National Park to a place where unique flora and fauna thrive, Kata Tjuta / The Olgas. Here your guide will reveal the many attributes of this diverse environment and describe the cultural significance of Kata Tjuta as a sacred Aboriginal men’s ceremonial site. As you start your sunrise trek around the 12 kilometre base trail of Uluru / Ayers Rock you will embrace the culture, geology and environment that is the essence of this amazing monolith. 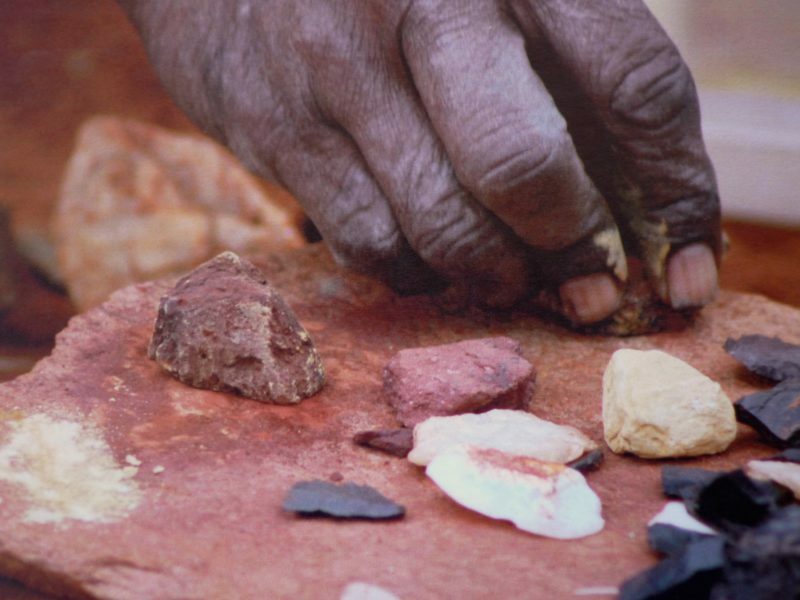 Your guide will tell the cultural stories (Tjukurpa) of Liru (poisonous snake) and Kuniya (woma python), as well as many other Aboriginal creation stories associated with this Central Australian icon. 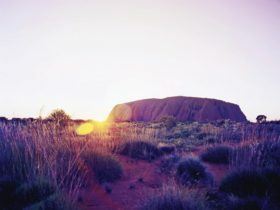 Embrace the culture, geology and environment that is Uluru / Ayers Rock on a small group tour (maximum of 11 people). Meander around the monolith walking into waterholes and art sites with your guide and learn of Uluru’s cultural significance to the Anangu (local Aboriginal) people. Witness a spectacular sunset and absorb the majesty of this powerful place. 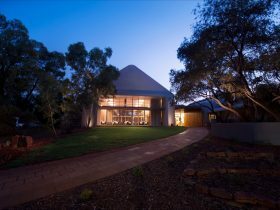 Price includes – a professional guide, a driving tour of the complete base of Uluru, two short guided walks along the base, sparkling wine and light refreshments at sunset, and water to refill all bottles. SEIT Outback Australia offers exciting, adventurous, exclusive and specialised iconic, pioneering and / or cultural touring throughout Outback Australia. 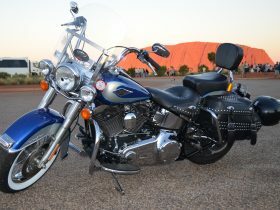 SEIT Outback Australia offers exclusive touring to Mt Conner from Ayers Rock Resort. Contact SEIT Outback Australia’s reservations team for further details. Journey through the desert landscapes of the Uluru-Kata Tjuta National Park to the mighty rock formations and revel in the early morning serenity of a truly spiritual place as the sunrise colours change on Kata Tjuta / The Olgas. Absorb the views from the best vantage point to see the 36 domes that comprise this spiritual place. Join your guide for an adventure into the outback bush environment and discover the importance of traditional bush food to the local people and meet some of the reptiles of the region. 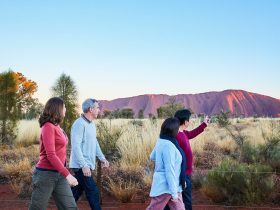 Join a traditional owner of Uluru, a member of the Uluru family, on their homelands and spend time learning about the oldest living culture in the world. 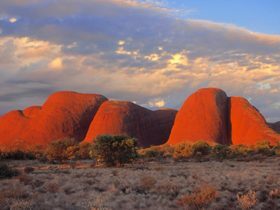 SEIT Outback Australia offers unique and exclusive touring to Patji, located just outside of Uluru-Kata Tjuta National Park south of Uluru. As you will travel towards Uluru its vast shape rises from the sand dunes in the early dawn light highlighting its presence in this country. 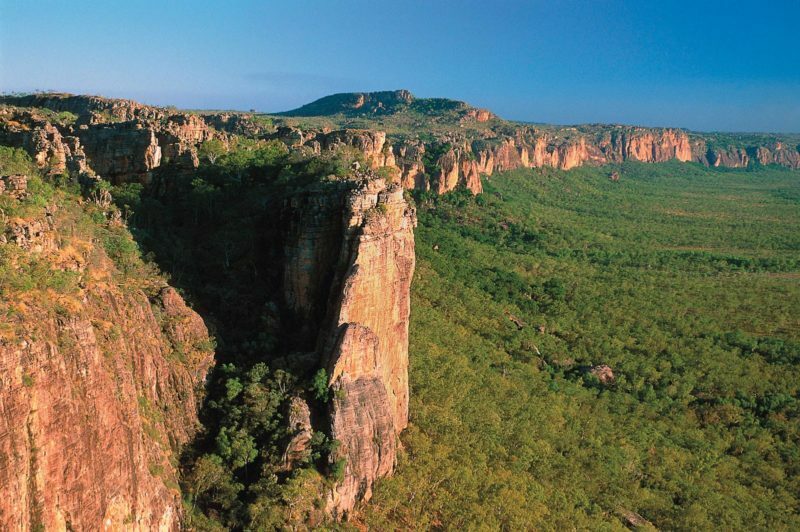 Your guide will take you to a special location to watch the sun rise over this amazing monolith. You will learn the Creation stories of Liru (poisonous snake) and Kuniya (woma python) and hear about the Mala people. After breakfast you will visit Mutitjulu Waterhole and then drive around the base of the Uluru before returning to the resort.